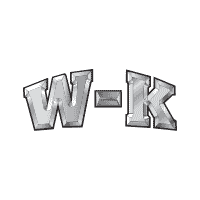 W-K has been a family owned business since 1919 when it began in a simple metal shed as the W-K Garage. Since then, the Weymuth family has dedicated 4 generations to providing Central Missouri with the best possible sales and service experience. 100 years in business is quite the achievement, but 100 years and 4 generations of auto dealers is nearly unheard of. Doing the right thing, day after day after day, may not be the fast track to fortune and glory, but that is what it takes to build a business that lasts 100 years. As we continue to grow in Sedalia Missouri and now in Boonville Missouri, trust that W-K is here to stay. Dedication to excellent service, with the most talented and awarded technicians in the state, and a commitment to exceeding customers expectations will carry us through another 100 years as your local new car dealer and top-notch service center. New vehicles from Chevrolet, Buick, GMC, Cadillac, Ford, Chrysler, Dodge, Jeep and Ram, and the talent it takes to service ANY make or model vehicle, combined with our state of the art facilities, sets the W-K family of dealerships apart from the other “local” revolving door dealerships in our area. A new owner every couple of years, and new management and staff every 6 months is NOT what you want from your car dealership of choice. You want accountability, familiarity, and consistency, and that is what makes W-K different.